For the weekend gardener to the professional landscaper, you must know how to till your garden correctly. This ensures that your plants will remain in good condition and have enough nutrients to grow. 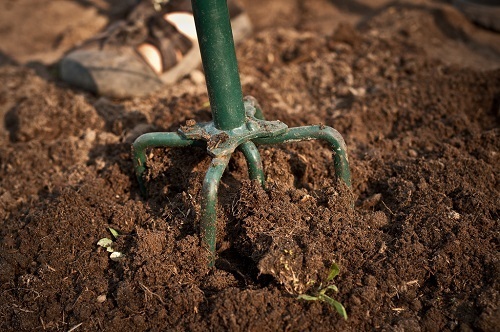 Did you know, you can save money by tilling the soil by hand? Tilling machines are useful but can be very expensive if you're just starting off. That's why we've decided to help you save money through creating this guide. Tilling is defined as turning over and then breaking up the soil. How deep you till will depend on your reason for tilling. While you can order a tilling machine, it's actually not that hard to do. For people with small gardens, a tilling machine can be a bit excessive. Tilling is necessary if you plan on mixing amendments into your soil. Plus, it's also helpful if you have compacted soil that needs to be broken up. Tilling helps remove the unwanted roots and weeds from the soil. 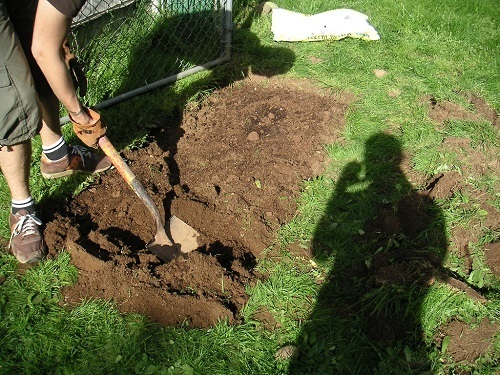 If you plan on turning a section of the lawn into a garden bed, tilling helps turn the sod over. As a result, it mixes organic matter from your grass into the soil. This process produces a base for the ready-to-plant garden bed. Thus, manually hand tilling will make your plants grow in a natural and more cost efficient way. Instead of digging through your garden with a tilling machine, you can double dig your crops without any machinery. First, you'll need a shovel that has a long, comfortable handle. You'll also need a rake to help smooth out the soil. All of these tools will help the manual process easier and helps your garden remain clean. When Should I Till My Garden? This is a common question that novice gardeners tend to ask. The best time to till your garden is during the spring. At this time, the frost is completely removed from the ground, and it's when the plants are ready to grow. Before you start, test the soil. You need to see what extra amendments are needed. The soil amendments (organic fertilizer, peat moss, lime, mulch) are easy to obtain and inexpensive. Adding these amendments before tilling the garden will create a growing environment for your plants. Don't spread any form of chemical fertilizers during your first tilling. We suggest that you wait at least 6 months for your plant to grow before you place fertilizers into the soil. The best time to till your garden's soil is when it's balanced. For instance, the soil can't be too wet or too dry before tilling. If it's too dry, it will be hard to break up the soil nicely. Plus it will be more difficult to work on. Begin by spreading the compost over the soil. Next, use your shovel to create a 10-inch ditch along one edge of space. When you start double digging the garden, you will have to work from one end to another. After that, create another ditch that's adjacent to the first one. To fill in the second ditch, use dirt from the ditch and place it over the soil. Once you've completed the previous step, you have to continue hand tilling the soil. 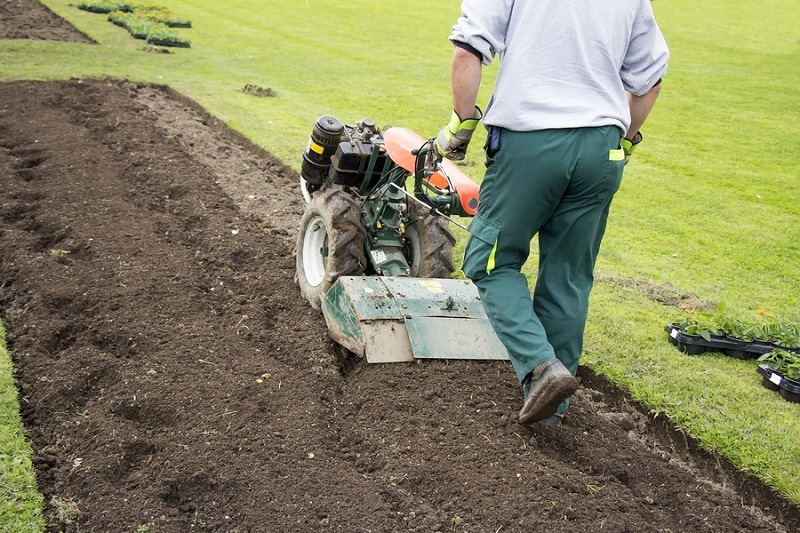 Keep hand tilling in this fashion throughout your garden bed's area. Fill in the last ditch. Use the soil from the first ditch to completely cover it. When you've completed the steps with a double digging technique, finish by smoothly raking over the soil. If your soil is sandy in nature or high in clay, placing some organic oil will improve it. Remember, the clay soil compacts don't drain or mix well. The sandy soil can drain as well and too rapidly because of its loose structure. Most gardening professionals and experts say that you can't have too much of organic material to any form or type of soil. The more of organic content, the better and easier it is to create a smooth planting surface. Add an extra 4 to 6-inch layer of 100% organic material like mulch, decomposing plant material, shredded leaves, and mulch to your soil. After you work it in, it will fully transform your garden soil. It will turn your garden soil to a rich and dark loam. Do this to ensure that your soil will remain healthy during growth season. 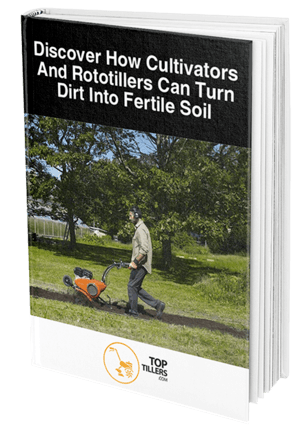 With the double digging method, you're helping your soil grow at a healthier rate than a machine tiller. While hand tilling is more labor intensive, it won't compact the soil and is even more less likely to disrupt your soil's natural structure. But also, when hand tilling the soil, you're going deeper than with a tilling machine. 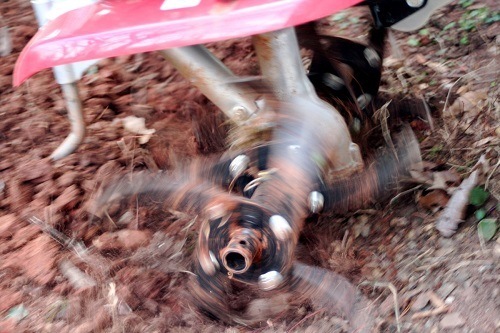 Tilling machines loosen the soil which can reduce the chances of them growing properly. Double digging helps you get the water and nutrients further down the soil. Usually, the double digging method should only be used once. Continuously doing this method will break up the soil. Also, natural elements such as animals, plant roots, and earthworms will keep the soil completely loose. Tilling your plants manually can be challenging, but it has a large payoff. Your plants will grow faster, and your soil will continue to support their growth. It's safer than buying a tilling machine and will save you money in the long run. Do you have any questions or extra advice on how to hand till a garden?